So you just picked up a phone off the street. It looks a bit battered, but you know that the owner needs it back. You try to open it to figure out the identity of the owner. You just want to give the phone back. You never expected to get sucked into a creepy conspiracy where every single decision literally means life or death. Welcome to Sara is Missing. The thing I enjoyed most about Sara is Missing is that the game happens in the user interface of the aforementioned Sara’s phone, so if you have the mobile version, the phone that you’re playing it on is the experience. It’s such a simple premise for an augmented reality game, I’m surprised that I haven’t seen any other game use this particular format before. 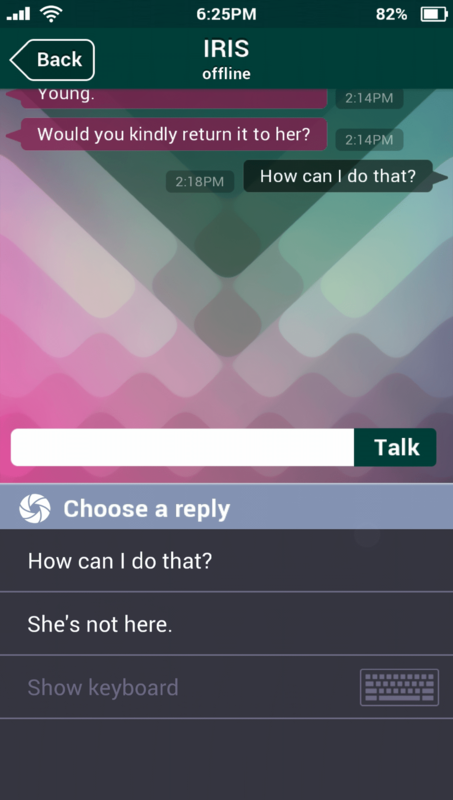 I won’t spoil much for you, but in your quest to look for Sara, you’ll have to tinker with her phone, recovering corrupted data, reading her conversations, and generally piecing her life together, you’ll get sucked in deeper and deeper into whatever trouble she’s gotten herself in. It’s full of jumpscares, cleverly using familiar notifications and vibrations to create a feeling of unsettling dread. The fact that the entire game happens on the screen of a simulated phone makes the entire feeling of dread even more of an astounding achievement, if you ask me. Developer Monsoon Lab did a great job keeping the suspense throughout. There was a task where I had to go through the photo gallery. I actually dreaded going through each one of the pictures because of what I might find there. Of course being a mobile game, it’s also limited. It’s essentially a choose your own adventure-type thing, and your choices are usually few. It’s not a bad thing, really. I just hope future games using this format can expand and have a little more options. An example of the limited options in the game. Another thing: this game is short. It took me a total of two hours to finish this, and it abruptly ends just when the game was starting to get interesting. I hope that we get a sequel, chapter 2, or something – just expand the game. I want more. Sara is Missing is available on Monsoon Lab’s Itch. You can get it for free on Android, iOS, and surprisingly, Windows. Want more video game reviews? I write more game reviews and loads of other stuff in What’s A Geek and Girls Got Game!